This is good student model carbon composite bow. It is lighter than a fiberglass bow, but not as light as a carbon fiber or wood bow. 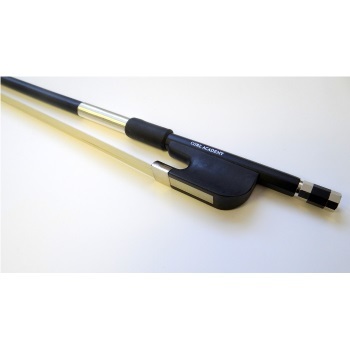 With less "bounce" than a carbon fiber bow, it is designed to be easy for the student to control. Half-lined composite frog; no eye.